Fantastic apartment of 55 m ², completely renovated and equipped: it has a terrace, a cosy living room with kitchenette, one double bedroom with loft bedroom and a bathroom with shower. There is no air conditioning and wifi. 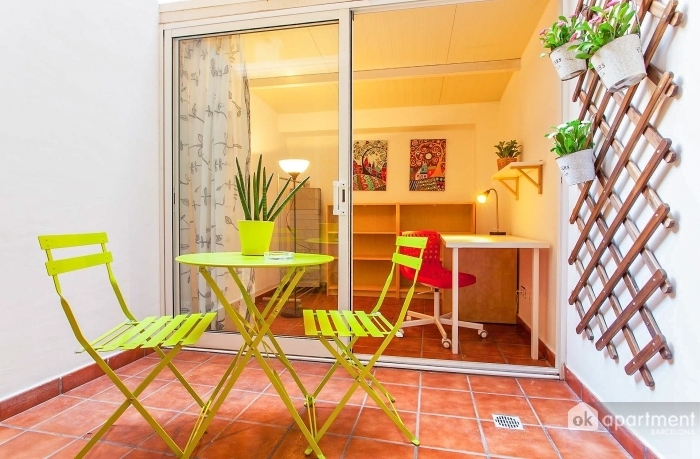 The apartment is located in the Sants district, very well connected with Metro stations, bus and train station, close to universities and other landmarks of the city. The historic centre is 15 minutes, media reach the nearest underground stations are Mercat Nou (L1 red) and Plaza de Sants (L1 L5 blue and red).